In the Land of the Free it seems that free speech is not as free as we may have thought. As I write, it is still not clear whether publishers are free from government interference if they wish to edit and publish articles or books written by authors from certain countries that are subject to trade sanctions. The sorry saga began when the Institute of Electrical and Electronics Engineers (IEEE) ran a conference in Iran a few years ago. Money transfer was a problem and IEEE had dealings with the U.S. Treasury Department’s Office of Foreign Assets Control (OFAC). Later, OFAC started to look at IEEE’s publishing operations and, in late September 2003, issued a ruling indicating that copy editing of learned articles from trade-embargoed countries (Cuba, Iran, Iraq, Libya, and Sudan) might be affected. IEEE applied for a special license to publish in October 2003, but most other publishers continued with business as usual. At the beginning of April 2004, OFAC ruled that scientific publishers can continue to peer review, edit, and publish papers submitted by authors in countries under U.S. trade embargoes. Residual issues however remained. 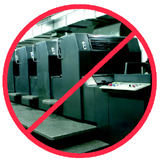 In September, the Professional/Scholarly Publishing Division of the Association of American Publishers (AAP), the Association of American University Presses, PEN American Center (PEN is a society for “poets, playwrights, essayists, editors, and novelists”), and Arcade Publishing asked a New York court to strike down the offending OFAC regulations. The ACS, through its membership in AAP, is participating in the suit and is providing financial backing. The plaintiffs argue that licenses are not needed because trade legislation passed by Congress exempts informational materials from trade embargoes. They point out that the regulations violate the Trading with the Enemy Act (TWEA), the International Emergency Economic Powers Act (IEEPA), and the First Amendment. TWEA and IEEPA were twice amended by Congress, in the Berman Amendment and the Free Trade in Ideas Amendment, to make it clear that transactions involving “information and informational materials” are exempt from trade embargoes. Scientific publishers are not the only ones to fall foul of the regulations. Shirin Ebadi, the winner of the 2003 Nobel Peace Prize, an Iranian lawyer and children’s advocate, is prevented from publishing her memoirs in the United States because of the OFAC embargo. The embargo was intended to punish repressive governments such as the one in Tehran that sent Ebadi to jail, but it has backfired because she has been denied her right to publish in both Iran and in the United States. Ironically, she would have been free to publish a translation of her book in the United States had it originally been issued in Iran, since the regulations allow publishers to “reproduce, translate, style, and copy edit” existing works from sanctioned countries, but the regulations prohibit providing the editing services that would allow publication of an original book in the United States. Ebadi and her literary agency are suing the U.S. Department of the Treasury. In what might have seemed to be the final chapter in this ludicrous tale, the U.S. Treasury Department issued revised regulations in December 2004 spelling out that all activities ordinary and incident to publishing are not forbidden, so American publishers do not have to apply for a license if they wish to edit or publish works by authors in Cuba, Iran, or Sudan. The ruling, however, does not mention any other embargoed countries and there are still prohibitions on publishing activities for authors who are defined as part of the “government” of the sanctioned countries. Moreover, OFAC continues to assert that it has the right to restrict publishing, and so they could reinstate the licensing requirement at any time. Linda Steinman, a lawyer at Davis Wright Tremaine LLP who represents the publishers in the AAP lawsuit, initially called the new regulations “a very, very positive step in the right direction,” but as of April 2005 there is no sign of an end to the litigation. I am not qualified to comment on the impact of all this on IUPAC’s publishing operations, but I would like to hope that IUPAC will continue to publish without fear or favor. Publishers, whether they be international or American, should not have to go to any government to ask for permission to publish. The right to free speech is a basic liberty we all deserve. Wendy Warr <wendy@warr.com> is managing consultant at Wendy Warr & Associates <www.warr.com> in the UK. She chaired the IUPAC Committee on Printed and Electronic Publications until the end of 2003.